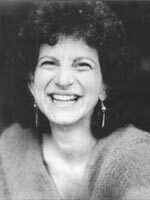 Alison Luterman is a poet and essayist living in Oakland, California. Her poems, short stories, and essays have appeared in magazines and anthologies, including Poetry East, Poet Lore, Whetstone, Kalliope, Oberon, The Sun and The Brooklyn Review. Her first book of poems The Largest Possible Life won the Cleveland State University poetry prize and was published in 2001. Her second book, See How We Almost Fly, is forthcoming in 2005. She’s worked as a poet-in-the-schools, a theater teacher, a freelance journalist, an HIV test counselor, and a drug-and-alcohol prevention counselor, and has given poetry readings and taught writing workshops for adults across the country. Do you have any comments, criticism, paraphrasis or analysis of this poem that you feel would assist other visitors in understanding the meaning or the theme of this poem by Alison Luterman better? If accepted, your analysis will be added to this page of American Poems. Together we can build a wealth of information, but it will take some discipline and determination.